Finding the perfect controller for DJing, laptop music, and so on has tended to mean either buying an off-the-shelf solution, or building one from scratch. But a growing number of users is choosing a third way: find a nearly-perfect controller and mod it to perfection. 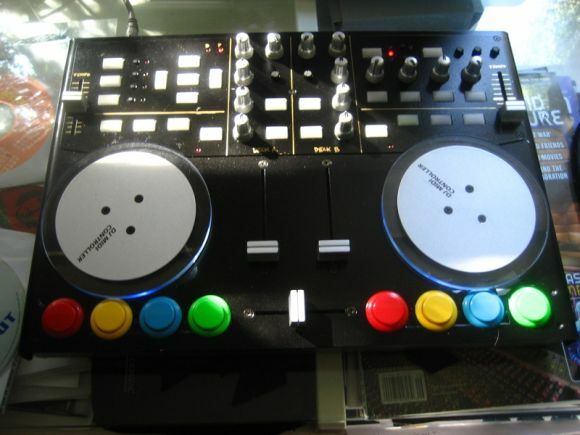 DJ Tech Tools, a new blog from three DJs that has grown out of stories for Remix Magazine, has a great story on adding arcade buttons to a Vestax VCI-100 controller. And yes, that’s “arcade” as in gaming — those fantastic, tactile buttons found on vintage game cabinets. A great VCI MOD rolls off the line!